First off, the paperback is such a small, cute, and perfect size. 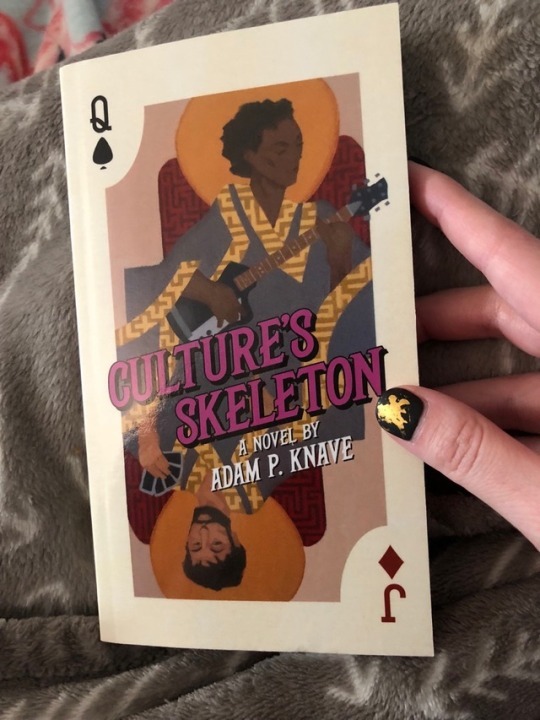 Culture’s Skeleton has the vibe of Hitchkicker’s Guide to the Galaxy while having its own voice. Things in Mur work by their own rules and Mur is really its own character. A lesser writer might have made characters from different time periods tropes of that era, but instead readers get a feeling of how people are connected despite where (or when) they are from. If you are looking for something with a lot of style and heart look no further!